Though all of life is worship, God has prescribed a time on the Sabbath for His people to gather together corporately in worship. It is the gathering of God’s people, according to His call, where God is glorified, and His people are blessed. The end of public worship is the glory of God. The Lord Jesus Christ has prescribed no fixed forms for public worship but, in the interest of life and power in worship, has given His church a large measure of liberty in this matter. It may not be forgotten, however, that there is true liberty only where the rules of God’s Word are observed and the Spirit of the Lord is, that all things must be done decently and in order, and that God’s people should serve Him with reverence and in the beauty of holiness. God Himself prescribes all pieces, parts, and the whole of worship, for His glory alone. As Christians who have been effectually called and regenerated, it is not only our duty, but also our great privilege to grow in our walk with God through the means of His grace: sacraments, prayer, and the preaching/teaching/reading of His Word. It is through these means of grace that we are quickened to duty and strengthened to the practice of true holiness – yet imperfect in this life, but growing in perfection. The Scriptures are the highest and ultimate authority. The Word of God determines what doctrines we are to believe. The Reformers argued that, whenever tradition contradicted Scripture, we should follow Scripture. Since Christ alone does the work to atone for our sins, and since salvation is a gift of God by grace alone, then salvation is not of our own efforts, but is through faith alone, plus nothing. Salvation is not something we earn or cooperate with God in. Salvation is a gift of God. We cannot strive to earn a gift. Salvation is a free gift of God, that is, it is by grace alone. It is through the work of Christ alone that we can receive salvation. Christ fulfilled every part of the law of God, and it is by Christ’s blood which He shed on the cross that we are saved. God has given us the Scriptures. Christ alone has saved us. Salvation is by grace alone through faith alone. The Triune God will alone receive glory and honor and praise for how He has redeemed His people. The PCA is a denomination devoted to keeping the faith once for all delivered to the saints. 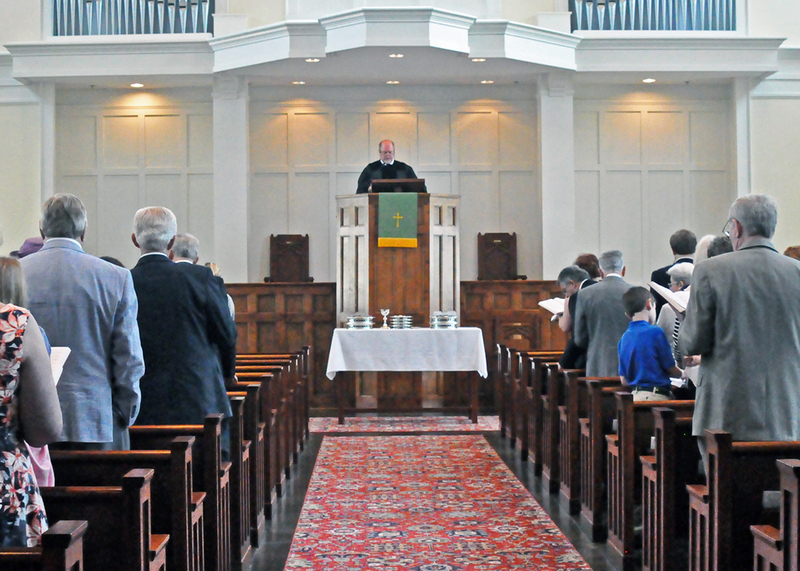 Find out more about the history of the PCA. We adhere to the Westminster Confession of Faith as a faithful representation of the doctrines contained in Scripture. Find out more about the Westminster Confession of Faith. 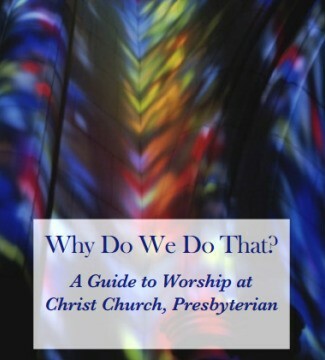 Each element of our worship services is included for a specific Biblical reason, and the Christ Church Worship Committee has prepared a guide that gives the reason for each one.